This article is about the character. For the guest star, see Chris Martin. Chris Martin is the lead singer of the British alternative rock band Coldplay. 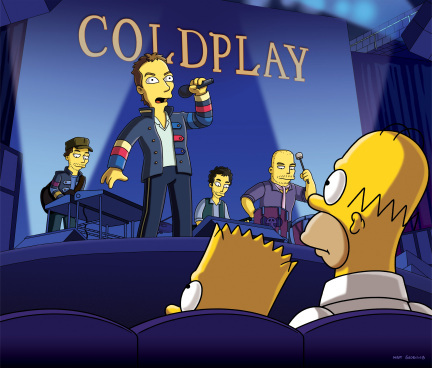 Homer hires out an entire room just to hear Coldplay play after he wins the lottery. Chris asks Homer if he wants to join their band but Homer declines. Modified on September 17, 2016, at 09:25.